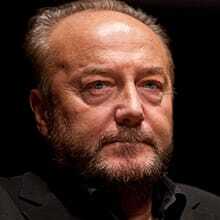 One thing about George Galloway, the man is no stranger to controversy. In 1994, after the first Gulf War, Galloway met with Iraqi leader Saddam Hussein, saying, "Sir, I compliment you on your courage, your strength, your indefatigability" - although, Galloway later claimed he was referring to the Iraqi people, rather than Saddam. 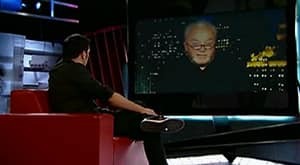 In 2003, Galloway tore into George W. Bush and Tony Blair, saying they attacked Iraq like "wolves," a comment that got him kicked out of Blair's Labour Party. More recently, Galloway mixed it up with our federal government. Back in 2009, he was supposed to come to Canada to speak about the wars in Iraq and Afghanistan, but Ottawa accused him of supporting terrorism, saying he provided financial support to Hamas. 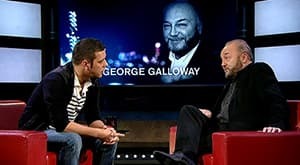 Galloway says he never gave money directly to Hamas - rather, he donated aid for the Palestinian people in Gaza. Either way, Ottawa considers Hamas a terrorist group, and Galloway was told he'd be prevented from entering Canada. The fight ended up in court, but in September, a Canadian judge said the decision was politically motivated, and Galloway was allowed in last month. But Galloway didn't come quietly. He's threatening to sue the government for branding him a terrorist. In fact, he says that allegation may have been a reason he lost his seat in the British parliament after nearly 25 years. Meanwhile, Galloway's cross-Canada speaking tour is finally set to begin, after a long and dramatic delay: it's called "Free Palestine, Free Afghanistan, Free Speech."